Deemed to be the most celebrated writers of her age, Margaret Eleanor Atwood is a versatile Canadian literary figure. Born on 18th of November 1939 in Ottawa, Ontario, Atwood is a prolific author, poetess, literary critic and a humanitarian. In contemporary literature her name doesn’t need any introduction. The magnificent craft of her work is commended widely across Europe, U.S and her homeland, Canada. 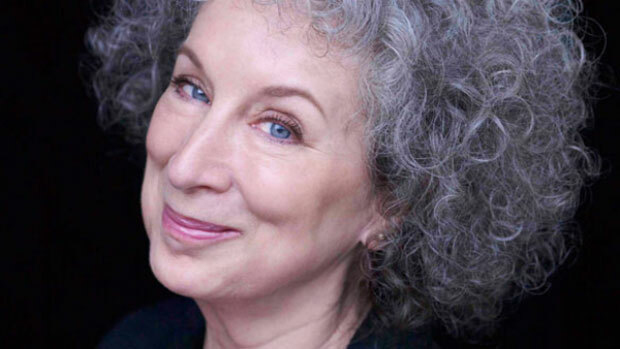 At a young of 16 Atwood resolved to pursue professional writing. Her studies at the University of Toronto encouraged her to write articles and poems for a literary journal named Acta Victoriana. In 1961 she received her graduation degree with a major in English Literature and then a year later she became a post-graduate in the same subject. She now holds several honorary degrees from numerous prestigious universities including Oxford University and Cambridge University. During her studies Atwood also happen to secretly publish Double Persephone a collection of poem for which E.J. Pratt Medal was awarded to her. Professionally she became an English Literature lecturer at recognized universities like University of British Columbia, New York University and Williams University. However, her teaching career did not sideline her dream as a young girl to become a professional writer. In 1966 the first ever work of hers to be published and made available publically was a collection poems named The Circle Game. It was an immediate success that had her earned the Governor-General’s Award. Margaret Atwood has published several poetry and short story collections, though her forte remained her novel writing. The major theme noticed in her poem is the affliction and suffering of women. Her book West Coast Review centers on women’s predicament of being isolated and taken advantage of by men. Atwood explains that anguish of her female characters is inspired by real women she has come across. Feminists place Atwood at a higher stature. Another one of her poetry collection entitled, Morning in the Burned House, deals with her personal issues regarding her father’s death, the grief and sorrow that follows and the sudden awareness of the transience of human life. The scope of her fictional work ranges from realistic fiction to historical to science fiction. She has successfully explored every angle of fiction writing that she could have. Science fiction remains one of the chief subject matters of her books She confesses that sci-fi writing was influenced by the fact that her father was a scientist. Although the inspiration does not cloud her judgment as most of her novels illustrate science in a detrimental role. Her highly praised works include Surfacing published in 1973 about a girl’s search for her father who goes missing. Following The Handmaid’s Tale (1985) publication there is Cat’s Eye (1989) and The Robber Bride (1993). The latter one was inspired from Brother Grimm’s The Robber Bridegroom. Besides speculative fiction Atwood has also penned down historical fiction. The first novel belonging to this genre was published in 1996, named Alias Grace. The novel is based on a real life incident appeared in a newspaper about a woman having no memory of crime that she has been accused of committing. Atwood won Orange Prize for Fiction for Alice Grace. She twice won the Booker Prize for The Blind Assassin (2000) and Oryx and Crake (2003). Margaret Atwood’s accomplishing of countless prestigious awards under different categories is the testimonial of her genius. Till now she has published plentiful novels, short stories and poems that have been translated in as many as 30 different languages.